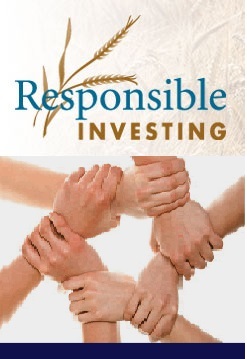 Do we invest responsibly as an individual? I think, the answer is certainly yes as we are not interested to be bankrupt and nor we are willing to cause any damages to our personal and family lives. This outlook of life-‘low regret’ or ‘do no harm’ is also increasingly happening in other sectors of our contemporary societies, starting from profit making companies to financial corporations; not for profit organisations to state-owned enterprises. What is responsible investment? We do not have yet a universally accepted definition on it. However, we may grossly consider responsible investment as an investment approach founded on the view that the effective management of environmental, social and governance (ESG) issues is not only the right thing to do, but is also fundamental to creating value. Responsible investors believe that companies which are successful in avoiding ESG risks whilst capturing ESG opportunities will outperform over the longer term! In the context of responsible investment, the key environmental issues: encompass pollution and contamination of land, air and water; related legal and regulatory compliance; eco-efficiency (“doing more with less resources”); waste management; natural resource scarcity; and climate change. Many environmental challenges also present opportunities for value creation, for example, generation of incremental revenue from new technologies, products and markets such as ‘green’ / sustainable products and services. With respect to the social issues, responsible investment can encompass the treatment of employees; health and safety; labour conditions; human rights; supply chains; and treating customers and communities fairly. Indeed, governance is also a crucial part of the social issues and in a responsible investment sense, this term is generally held to encompass the governance of environmental and social issue management, plus the areas of anti-bribery and corruption, business ethics and transparency. What are the drivers of responsible investment? There are two key drivers of responsible investment: risk management and investor concern. In an increasingly competitive business environment, managing risks and opportunities is the way for sustaining responsible investment. These two drivers could be further governed by policy statements of companies. The study of policy statements — or codes of conduct — suggests that companies, often working in business associations, have formulated an impressive array of concepts and principles for thinking about sustainable development issues. However, although these policy statements often represent serious reflections on the challenges facing business, they do not, viewed as a whole, constitute a uniform standard of business conduct in any area. This suggests that, in areas where a uniform standard of behaviour is desirable, there may be a need for inputs from governments, international organisations, or civil society. Therefore, a partnership between companies, government, development agencies and civil society is desirable for translate the policy statement into an actual work-plan. Having said this, I also clearly see the importance of an enabling environment which could stimulate effective corporate action in support of sustainable development. Thus, although responsible investment initiatives are essentially private, they are influenced in various ways by the broader environment — economic, cultural, social, legal and political — from which they emerge. The immediate implication of this is that, if broader environment is not functioning well, the business sector will not be able to do its job either. Societies provide essential influences and inputs that promote appropriate business conduct in subtle ways (for example, through informal enforcement stemming from peer pressure — so-called “voluntary compliance’). Drawing on my experience, I have four recommendations which I believe can help companies, to enhance their ability to create value from RI, and stay ahead of the competition. Access the right expertise: I understand lack of internal capacity and expertise is a major barrier of most companies to implementing their responsible investment (RI) goals. Hiring in to build in-house teams is an unlikely option, given the ‘lean’ structure of many private companies and the current economic climate. Companies need to think innovatively to access the right expertise (in particular on environmental and social issues) and keep their RI programmes on track. Adopt best practice approaches: Approaches to managing environmental and social issues during the investment cycle are diverse. Following best practice will help companies to maximise value from their RI activities. This would include adopting a consistent and systematic approach to due diligence, and ensuring that action points from the pre-acquisition phase are integrated into the 100 day plan. The most progressive companies strive to capitalise on environmental and social opportunities, rather than using ESG due diligence only as a means of ‘de-risking’ their investments. cash flow models) can be used to quantify the value of RI initiatives. However, the key challenge in conducting these exercises is the availability of ESG relevant financial data: given enough data, it is possible to establish a credible link between ESG activities and intangible value. Tips for measurement and valuation include focusing on quality not quantity, aiming for consistency not uniformity (given material issues for each portfolio company will vary depending on their sector and geographic location), and considering qualitative assessment options if the costs of gathering quantitative data are prohibitive. Ramp up reporting: One notable survey finding Responsible investment: creating value from environmental, social and governance issues Insight from our survey of the private equity industry, March 2012, it was found that there is relatively limited external reporting on RI. I think, it is crucial to report externally and the ongoing initiative of Carbon Disclosure Project or Global Sustainability Reporting is key reference points on this front. Companies can benefit and adapt from the considerable progress made on ESG reporting in the corporate sector (and integrated reporting more broadly). Several companies are relying on the use of case studies for reporting. Case studies can be a highly effective means of showcasing progress and success, but there are several pitfalls to be aware of: there is the risk of unbalanced (i.e. ‘good news’ only) reporting, and the need for transparency regarding the role of the companies in bringing about ESG improvements in the portfolio companies.